Paul H. Simmons, 63, of DeKalb, died on August 28, 2013, at his home. Calling hours will be at the funeral home, Saturday, August 31, 2013, 1 -4 PM. There will be a celebration of Paul’s life at his home, 240 Hitchcock Road, on Saturday, September 7, 2013, at 1:00 PM. Paul is survived by his wife, Christine E., Eric and wife Amanda Simmons of Las Vegas, Nevada, daughters, Brenda Simmons and fiancé, Bryan Kingsley of DeKalb, Ellen and husband David Tyo, of Depeyster, brothers, Glen Simmons of Depeyster, Earl and his wife Helen Simmons of Macomb, sisters, Bonnie Turnbull of Depeyster, Marsha and her husband Mike Streeter of Canton, grandchildren, Jakob Simmons, Justin Simmons, Makaela Simmons, Danielle Moyer, Nathan Moyer, Abigail Kingsley, Austin Kingsley, Cassidy Tyo, Ethan Tyo, Molly Tyo, several nieces and nephews. He was born in Ogdensburg, on May 11, 1950 the son of Leon “Joe” and Rita Beamish Simmons. 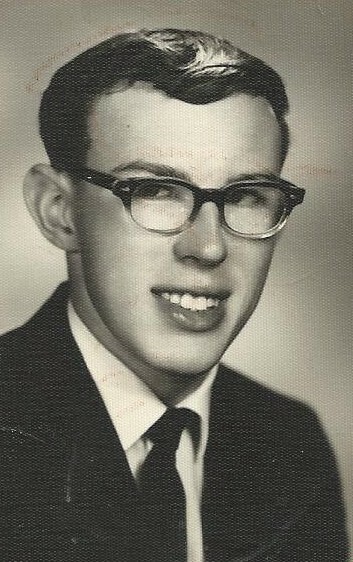 Paul graduated from Heuvelton Central School in 1968. He married Christine E. Kirby on July 12, 1969 at the Presbyterian Stone Church. He owned and operated Simmons Well Drilling in DeKalb since 1989; he was previously a laborer at Kirby Construction in Ogdensburg and was a miner at St. Joe’s Zinc Mines in Fowler. He enjoyed watching NASCAR and boxing (Tuesday Fight Night) and was a great neighbor. In lieu of flowers, contributions can be made to Ryan’s Wish Foundation, P.O. Box 326, Gouverneur, N.Y., 13642 and Hospice and Palliative Care of St. Lawrence Valley.